There are a variety of ways that youth hockey teams can serve at DinoMights! 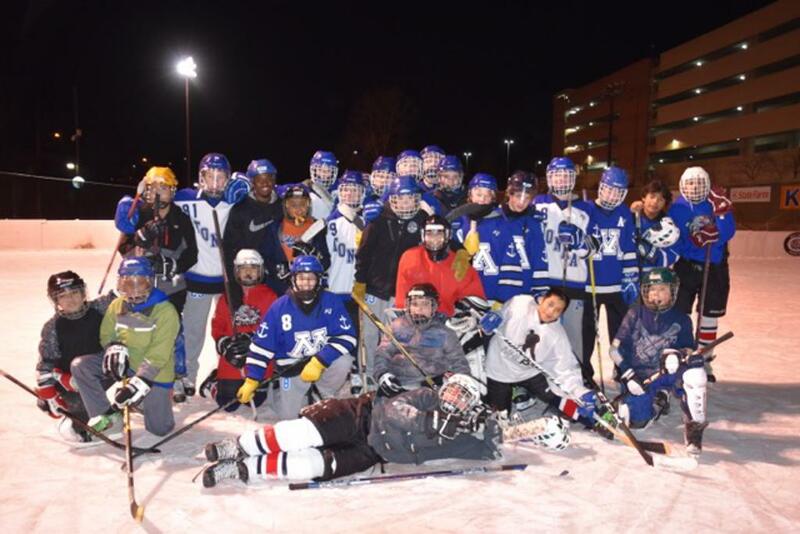 We offer service projects that can fit within a busy hockey schedule and even include playing hockey! See below for details. New in 2016-17, the DinoMights Brother & Sister Team program invites hockey teams from around the Twin Cities to partner with us in developing physical and social excellence in urban youth through our hockey programs. All players gain a multicultural learning opportunity right in their own backyard. 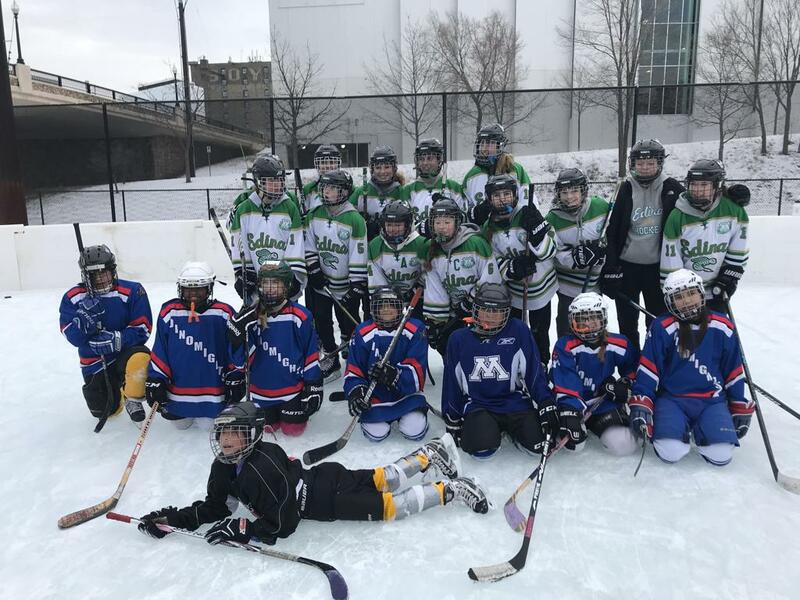 Both teams work together to develop hockey skills while building connections with people who are different than they are. Provides a service learning opportunity that works easily with busy hockey schedules. One hour at the DinoMights outdoor rink. One hour at your association’s rink. Coaches work together to use the ice time to run drills, play small area games and/or scrimmage. The Brother or Sister team contributes a minimum of $150 (approximately $10 per player), to support DinoMights by helping to cover the cost of our ice. For more information or to sign up contact Paola Fuentes, paola@dinomights.com. DinoMights relies almost entirely on donated equipment. Your team can help us by collecting donations of specific equipment needed for our players. Equipment drive ideas include tape drives, helmet drives, mouthguard drives. Check with our staff to find out what’s most needed.